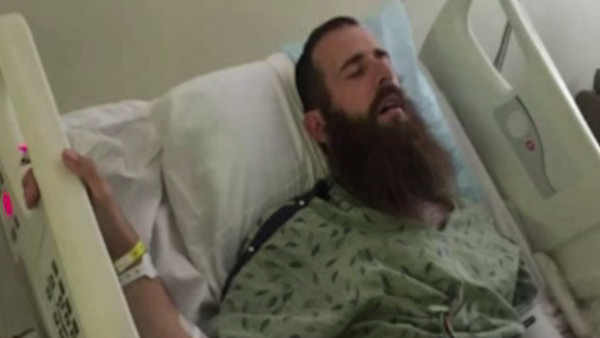 PHOENIX, Arizona (WABC) -- An Arizona man suffered a rare reaction to the West Nile virus. Nick Spitali, who contracted the virus last month, is now partially paralyzed in his legs. Doctors say less than 1 percent of West Nile patients suffer severe reactions such as paralysis. Spitali was working out in his garage when he felt a mosquito bite. At first he felt sick and thought he had the flu, but ended up in the hospital. The man is recovering and is regaining some movement in one of his legs. The family is now dealing with mounting medical bills as they try to pay for the physical therapy that Spitali needs.